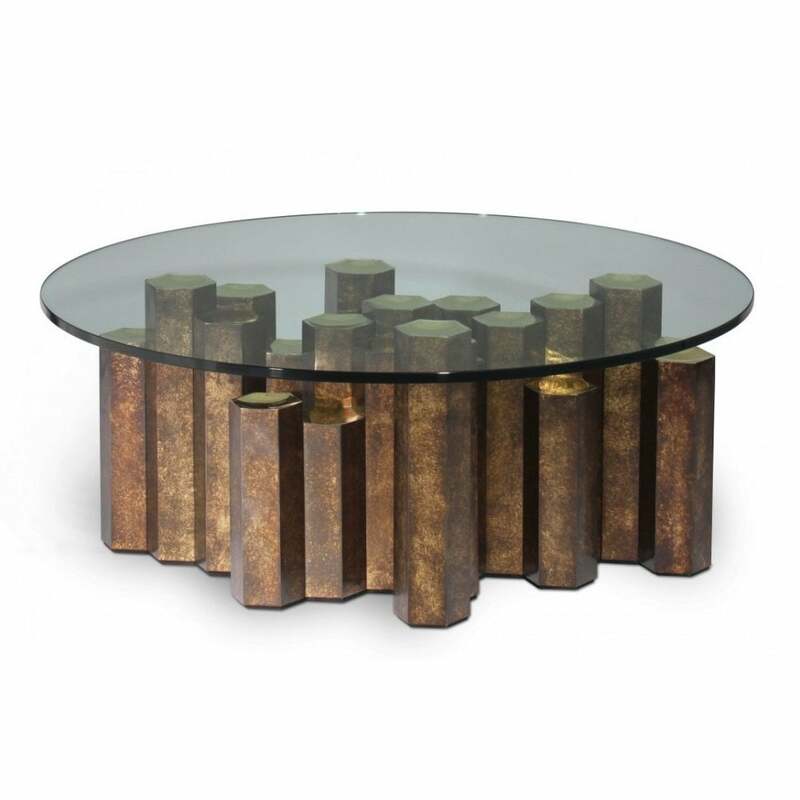 A must-have piece for any modern design lover, the Hive Coffee Table is crafted from polished brass with a decorative finish and toughened glass top. Featuring the same motif as the Hive Console Table from the Porta Romana collection, the varying heights of the geometric base is utilised to striking effect in this coffee table version. The crystal clear, round glass top sits proudly upon the sturdy base showcasing the unique hexagonal pattern. This clever design allows light to bounce off the patinated brass base for maximum effect. A statement on its own, style with sleek leather sofas and contrasting textures for a luxurious interior scheme. Make an enquiry for more information.